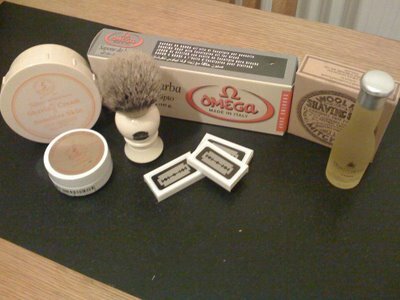 After using my new safety razor for awhile I’ve found that the original badger brush I bought is pretty poor and also I could do with better shaving cream so I’ve bought a few items which include pre-shave gel, shaving cream, blades and a much better quality brush. After two days of usage I have to say the brush was well worth it, it holds water much better then the previous cheap brush I bought as such it creates and hydrates the lather much quicker and better too. For anyone currently looking at buying a shaving brush I can’t stress enough that it is well worth investing in a good quality brush don’t opt for a cheap budget brush. Good read, thanks! I think I might invest in one of those razors as the Mach3 is still wrecking my neck. Have a look at totalshave(.com). I got some of that oil two weeks back and it’s really good. Gotta love a good shave!